Named after Jonathan Dayton, an area landowner who served as a captain in the American Revolutionary War, Dayton was incorporated in 1805 and originally consisted of just several hundred residents. The completion of the Dayton-Cincinnati canal in 1829 fueled the city’s early growth. As the city developed over the next several decades, it became known as a center for innovation. In 1890, for instance, the U.S. Patent Office granted Dayton residents more patents per capita than residents of any other city. This innovation further fueled business expansion in the region, pushing Dayton’s population past 100,000 by 1910. As its industries grew, Dayton experienced significant population growth over the ensuing decades, reaching a peak of more than 262,000 in 1960. Similar to other industrial cities, however, Dayton’s population began to decline as a result of suburbanization and layoffs due to technological advances and industrial flight to places with low labor costs. 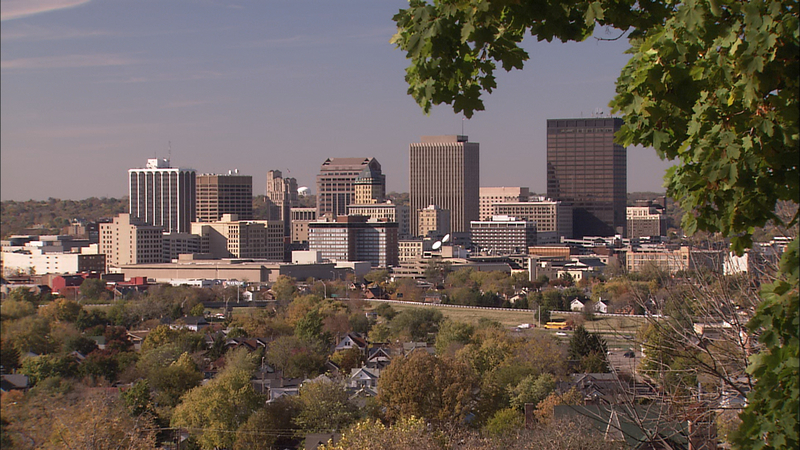 According to U.S. Census estimates, Dayton had 141,003 residents as of 2014. Roughly half (51 percent) of the city residents were white, 43 percent African American, 3 percent Hispanic American, and 3 percent multiracial. With the loss of its strong manufacturing base, Dayton experienced severe social and economic consequences. Perhaps most significant, Dayton’s poverty level reached 35 percent between 2009-2013, more than double the state average of 16 percent. Likely reflecting this, less than half (49 percent) of all Dayton residents owned their own homes during this same period, a figure well below the state average of 68 percent. The city also became known as one of the most dangerous in the nation—making the FBI’s 2014 “Top Ten” list of medium cities with the highest homicide rates. Working to address these challenges and build community-based wealth are a broad range of Dayton-based organizations. For example, St. Mary Development Corporation, a CDC working to ensure that all area residents have a safe, affordable place to live, has developed more than 3,500 units of affordable housing since its inception in 1989. PowerNet of Dayton, a nonprofit focused on supporting the re-integration of ex-offenders, operates several social enterprises, which have provided critical training and paid employment to over 1,000 people since 2009. Most recently, Leaders for Equality and Action in Dayton (LEAD), an organization representing a diverse array of Dayton-area congregations, has launched a two-year research project in collaboration with the City of Dayton and Cincinnati-based cooperatives to explore the possibility of developing worker-owned businesses to anchor capital and jobs locally. Dayton’s non-profit, place-based anchor institutions, including universities and fast-growing healthcare providers, are also taking an active role in community economic development. Miami Valley Hospital (MVH) and the University of Dayton, for example, are key partners in the Genesis Project—a public-private partnership launched in 2000 to help revitalize one of the city’s oldest neighborhoods. Formed in 1890 as a 37-bed hospital housed in a converted private home, Miami Valley Hospital (MVH) is now an 848-bed facility. Committed to community investment, the hospital is a partner in the Genesis Project—a public-private partnership launched in 2000 to help revitalize one of the city’s oldest neighborhoods—and is specifically credited with placing a community social worker and two community-based police officers in the neighborhood, helping to reduce crime by nearly 20 percent. As part of the larger health system Premier Health Partners, which serves a seven-county area in Southwest Ohio, the hospital is committed to following a new strategic plan focused on building an inclusive workplace, a concept that will involve workforce and diversity goals. Founded in 1921, The Dayton Foundation is a community foundation with $462 million in assets. In fiscal year 2014 it awarded $45 million in grants aimed to strengthen the greater Dayton region. The foundation played a lead role in establishing Dayton’s Minority Business Partnership, which works to grow scalable minority businesses, expand the minority entrepreneurial community, and create supply chain opportunities for local businesses. It also is a major supporter of Miami Valley Works, an organization that aims to eliminate poverty by providing holistic employment services including job readiness training, ongoing employment coaching, support services, and long-term follow-up. Formed in 1972 by a coalition of local business leaders, neighborhood representatives, and the city government, CityWide Development Corporation works to help Dayton-area businesses create jobs and strengthen the city’s neighborhoods. The nonprofit runs several loan programs, including a microloan fund, aimed at helping residents start or grow businesses. It is also spearheading a downtown housing initiative that aims to create 2,500 housing units by 2020, primarily by redeveloping vacant buildings along main streets. Established to bring together agencies and businesses located west of Dayton’s Miami River in support of economic change and grassroots community development initiatives, Community Development Corporation Resource Consortium (CDCRC) focuses on helping these groups collectively leverage resources, increase capacity, and gain access to non-traditional funding sources. Its work has enabled more than 500 families to maintain their homes, get a new car, repair their credit, or start a business. Established in 1998, East End Community Services provides a range of programs that help residents of East Dayton succeed and break the cycle of generational poverty. In 2006, it worked with the Twin Towers neighborhood (an area where about a quarter of the housing stock was vacant and deteriorating) and other local nonprofits to create a comprehensive housing strategy, which was then adopted by the City. Subsequently, between 2010 and 2013, East End worked with local partners to actualize the community’s plan, resulting in the development of 84 new homes representing an $18 million investment in the neighborhood. East End is now working with community members on a plan to revitalize a core thoroughfare, Xenia Avenue, with the goals of improving safety, attracting new businesses, and creating jobs. Founded in 1989 by two social activists committed to helping the poor, St. Mary Development Corporation seeks to ensure that every person has a safe, affordable place to live. To date it is credited with creating more than 3,500 units of affordable housing and connecting more than 800 low-income seniors and 300 families in the Dayton region to services including healthcare, food assistance, transportation, and financial education. With one of its two offices in Dayton, Community Capital Development Corporation (CCDC) helps small Ohio businesses secure affordable financing for growth and expansion. Since its establishment in 1981, CCDC has approved more than $328 million in loans to over 1,100 businesses, creating more than 11,700 jobs and contributing an additional $898 million to Ohio’s economy. Founded in 1980, and certified as a CDFI in 2001, County Corps focuses on enhancing the quality of life in Montgomery and neighboring counties through improved economic opportunities. Its housing programs include developing new affordable units, providing foreclosure counseling, and funding emergency and/or accessibility home rehabilitation projects. In 2013, these programs were credited with creating 25 new units, rehabbing 20 existing units, and assisting over 850 households. Through its BizCap program, County Corps also provides small loans to area businesses for working capital, debt refinance, or business expansion. In 2013, BizCap approved 17 loans totaling $3.6 million, closed on 17 loans totaling $5 million, and leveraged nearly $6 million from other lenders. Fifth Street Brewpub is a member-owned brewery serving a wide range of beers as well as pub food made from fresh, local, and sustainable ingredients. Incorporated in 2012 with 850 charter members, the co-op now has over 2,700 member-owners. The co-op’s future plans include assisting with community development projects in its surrounding neighborhoods. Founded in 1937, U1 Credit Union aims to create personal, community, and financial wellbeing. As of 2015, it had over 50,000 members, nearly 100 employees, and over $391 million in total assets. Based in Dayton, U1 also has 10 other branches across the region. Launched in 2000, the Genesis Project is a collaborative effort between Miami Valley Hospital, the University of Dayton, the City of Dayton, and CityWide Development Corporation to revitalize Dayton’s Fairgrounds neighborhood. A key priority is to increase homeownership through the replacement of substandard housing, the renovation of existing houses, and new construction. Other project strategies include traffic flow and streetscape improvements, financing for new and expanding businesses, and community-based police officers to enhance neighborhood safety. Since the project’s launch in 2000, 40 substandard houses were demolished and 34 homes were renovated or built, helping increase homeownership in the area to 75 percent. Plans are now underway for “Genesis II,” which will emphasize housing construction on remaining vacant lots. Established in 1956, Yoder Industries is a full-service die casting company with two facilities in Dayton. In 2012, after three generations of family ownership, it transitioned to a 100 percent employee-owned company. Yoder Industries has about 90 employees and annual sales of over $30 million. Founded in 1992, Leaders for Equality and Action in Dayton (LEAD) is an organization comprised of a diverse array of Dayton-area congregations seeking to empower and prepare people of faith to work for a greater degree of justice in Montgomery County. Concerned about inequities between area neighborhoods, LEAD created its Dayton Works Initiative in 2014 to explore the common ownership of productive assets that could anchor capital and jobs locally. 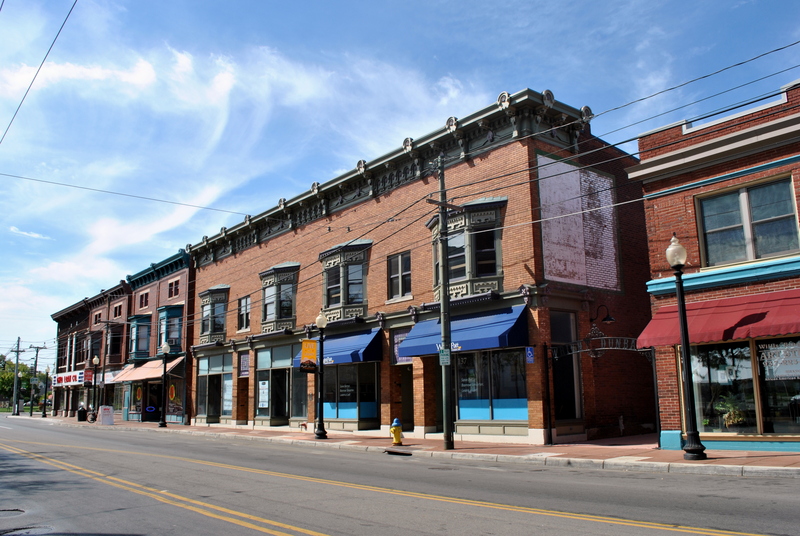 LEAD is now working on a two-year research project in collaboration with the City of Dayton and Cincinnati-based cooperatives to determine what types of cooperatives could succeed in the area and identify anchor institutions and funding to support the project. Minority Business Partnership (MBP) aims to grow Dayton-area minority business enterprises by advocating for increased minority business participation in supply chains and facilitating strategic business partnerships. Established as the Minority Economic Development Council by The Dayton Foundation and The Dayton Business Committee in 2007 to foster strong local minority businesses, the group was renamed MBP in 2010 and brought under the umbrella of the Dayton Area Chamber of Commerce. As of 2012, MBP was working with 27 minority businesses and had 136 buyers and suppliers registered on its “bid portal,” which connects minority businesses to procurement opportunities. Established in 1963 to preserve and protect open space and natural areas in Montgomery County, the publicly-owned Five Rivers MetroPark today encompasses 15,000 acres of forests, grasslands, farmlands and wetlands. In 1986, MetroParks began a Community Gardening program that helps urban residents develop and maintain community gardens and green projects. MetroParks also operates 2nd Street Market, a year-round farmers market held in an historic B&O railroad building once slated for demolition, that supports both the growing and buying of locally produced goods. Established in 2008 on a city-owned downtown lot that was vacant for over 50 years and had become a dumping ground, Garden Station is an art park and community garden featuring locally-created murals and sculpture, community garden plots, concerts, festivals, a regular Sunday farmer’s market, and other community-focused events. In 2013, it first hosted EarthFest, which has now become an annual festival attracting thousands of area residents that features DIY sustainable living workshops. Formed in the fall of 2015 by a coalition of partners including Montgomery County, Greater Dayton RTA, Public Health Dayton & Montgomery County, and Homefull, the Market at Wright Stop Plaza aims to provide fresh, affordable, local produce at the Wright Stop Transit Center, an area considered to be at the heart of a food desert. The Market will also serve as a job training site for clients of Homefull, the Dayton nonprofit that provides shelter and services to people experiencing homelessness. Homefull, a Dayton nonprofit working to end homelessness, established Homefull Solutions to help its clients gain the work experience necessary to secure employment with a livable income. The social enterprise provides job training in landscaping/lawn care, apartment maintenance, vending machine operations, and micro-farming. Through a partnership with the City of Dayton’s Southwest Priority Board, its landscaping enterprise also promotes neighborhood revitalization and beautification by providing regular upkeep around foreclosed and abandoned properties. Farm training is based out of Homefull Micro-Farm, located right outside one of its men’s shelters, and also serves as a means to provide fresh, affordable food to community members who lack fresh food access. Founded in 2002, PowerNet of Dayton aims to improve Dayton neighborhoods by facilitating the social, economic, and political re-integration of formerly incarcerated members of the community and other citizens with felony records. Key components of PowerNet’s program are social enterprises, which provide program participants with training and paid employment in repair and maintenance, grounds keeping, and janitorial industries. Since 2009, PowerNet is credited with providing services to over 1,000 people. The City of Dayton Office of Economic Development runs two grant programs aimed to foster job creation and business growth. Its Dayton Economic Attraction Program provides annual grants for up to three years (capped at $1 million) to businesses that create at least five new, living-wage, full-time jobs in the downtown area or in key industry sectors. Through the Dayton Development Fund, it also provides grant funding for local business expansion projects that create or retain jobs. The Office’s work in 2013 is credited with retaining over 800 jobs, creating over 575 new jobs, and generating $47.4 million in private project funding.